Embattled former Chairman of the Pension Reform Task Team, Abdulrasheed Maina, has written to Senate President Bukola Saraki a letter in which he claimed that pension funds amounting to more than N3 trillion were trapped in 97 pension offices before he fled the country. Maina, in the letter dated June 19, 2015, which he wrote shortly after he returned to the country from self-exile, had sought a review of his case and a probe of the various actions taken against him by some people he claimed were bent on intimidating him. He also accused the 7th Senate of aiding and abetting pension thieves across the country. Maina, who recently returned to self-exile following a public uproar against his alleged reinstatement as a director in the Ministry of Interior while he was still wanted by the Economic and Financial Crimes Commission (EFCC) over alleged embezzlement of N2 billion pension funds, claimed in the letter leaked to newsmen in Kaduna yesterday that his task team, which began operation in January 2011, saved about N1.6 trillion from pension thieves. According to him, the team’s efforts led to the arrest of 46 persons and firms involved in looting pension funds, who were handed over to the Economic and Financial Crimes Commission and whose trials were still ongoing. 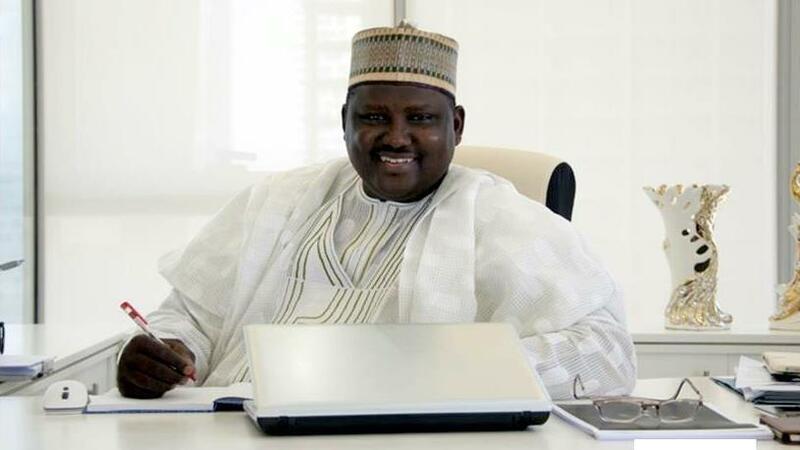 The more than N3 trillion Maina said was waiting to be recovered from 97 government agencies was as at 2015. The leaked letter indicated that the pension boss resurfaced in the country shortly after the inauguration of President Muhammadu Buhari on May 29, 2015. The letter reads: “We, members of Pension Reform Task Team (PRTT), wish to use this medium to apologise for our little late response to reaching back to you. “We had to put the issues together and source for appurtenant materials. We appreciate your understanding sir. “As a refresher, the PRTT was inaugurated on 10th June, 2010 by the immediate past administration of Dr. Goodluck Ebele Jonathan GCFR, with a clear mandate to restructure the Head of Service Pension Office, Police Pension Office, among others. “The PRTT took off effectively by January 2011. “We used financial intelligence skills to achieve ground-breaking achievements in our assignment. “We recovered and saved cash and properties worth over N1.6 trillion. “Our efforts led to the arrest and prosecution of 46 persons/firms involved in looting of pension funds which we handed to the EFCC. The trials are still ongoing. “As it is, there is a leakage of N256 billion monthly from the current IPPIS, which needs to be blocked urgently. “We are also aware of some government hidden accounts which needs to be mopped up. “We can be used to engage any department of government in sanitising the financial workflow to avoid loose ends that remain susceptible to leakages. “Based on the revelations of massive/monumental fraud and outright stealing of pension funds, which was brought to public attention by the PRTT, the 7th National Assembly by resolution dated 2nd November, 2011 mandated its Committee on Establishment and Public Service, State and Local Government Administration, to conduct a comprehensive investigation into the management and administration of pension funds in Nigeria. Maina maintained that the Senate Joint Committee ended up creating more problems than solutions to the endemic corruption and fraud prevailing in the system because while the Senate haunted them, it favoured the “pension thieves”. “We became objects of corruption fighting us back. From our first appearance before the Senate committee, it was obvious that the entire exercise conducted by the Committee was geared towards discrediting the PRTT,” the letter stated. Arguing that before leaving Nigeria, following threats to his life, the PRTT had worked so hard that pension payments stabilised, Maina noted that the biometric system adopted by the team exposed 73,000 ghost pensioners in the office of the Head of Service alone. “Some pensioners got backlog of about 30 years paid into their accounts. All payments were ordered under the signature of the Head of Service monthly,” he said. He added: “However, the PRTT regrets to observe that rather than achieving the objectives of the spirit and its mandate, which in our view includes but not limited to identifying those responsible for the culture of fraud that characterised the system and bringing them to book, the Senate Joint Committee ended up creating more problems than solutions to the endemic corruption and fraud prevailing in the system. “Today, it (pension) is worse with the Police pension office where daily so much millions are taken out of pension funds in that office. We have evidence to substantiate this,” he added. On his dismissal, Maina said the process was concluded under 36 hours without giving him the opportunity to be heard. The letter said: “As we write to you, Abdulrasheed A. Maina has been dismissed from Civil Service for being absent for three days while his life was under threat following gunshot attack on his person in front of Head of Civil Service Office where his office was located in February, 2013. Attached are copies of letters from Nigeria Police Force. “ANNEXURE 3 (a) and (b)”. He added that an appeal to the 7th Senate for fair hearing was ignored. As a result, the PRTT approached the Federal High Court Abuja in suit number: FH/ABJ/CS/65/2013. He said the court ruled in his favour on 13th March, 2013 noting that till date, the Senate had yet to appeal the judgment of the court. Reacting to Maina’s letter, the Special Adviser (Media) to the Senate President, Yusuf Olaniyonu, said the present Senate leadership ignored it because the last Senate had taken a decision on the pension matter and there was no reasonable ground to review it.